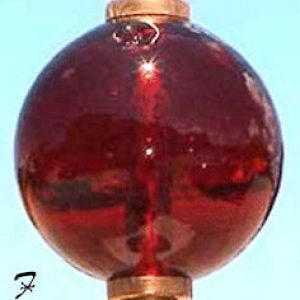 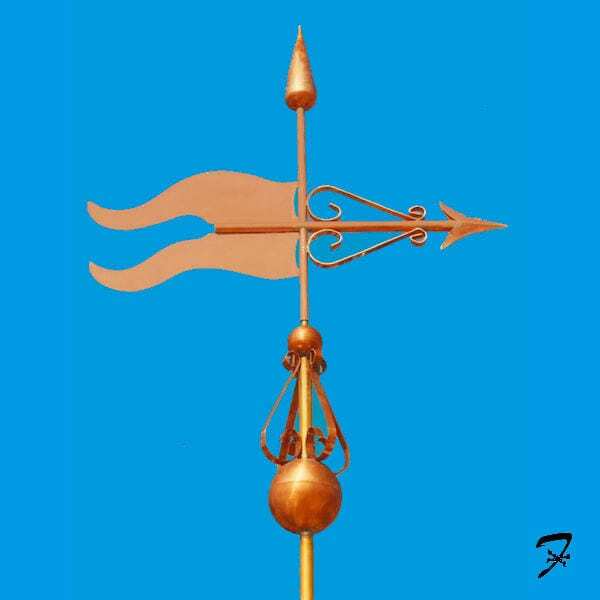 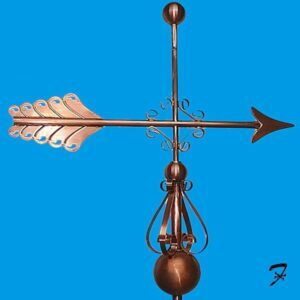 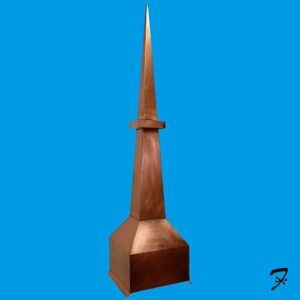 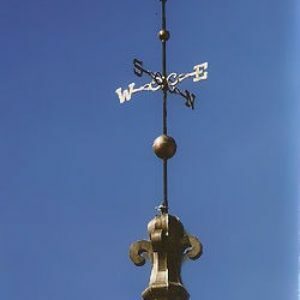 Category: Copper Roof Finials - Rotating. 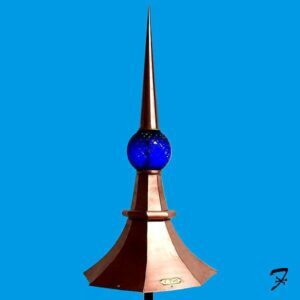 Tags: Banerette, copper finials, custom made, roof caps, roof finials, Rotating Finial, spires, turret caps. 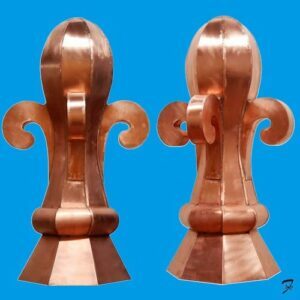 28″ H x 24″ Long with 2″ of copper tube below ball to hide post.